In honor of American artist Thomas Eakins‘s birthday, here are some of our favorite recent submissions to the in-gallery comment station next to the artist’s Miss Amelia Van Buren, part of Made in the USA. 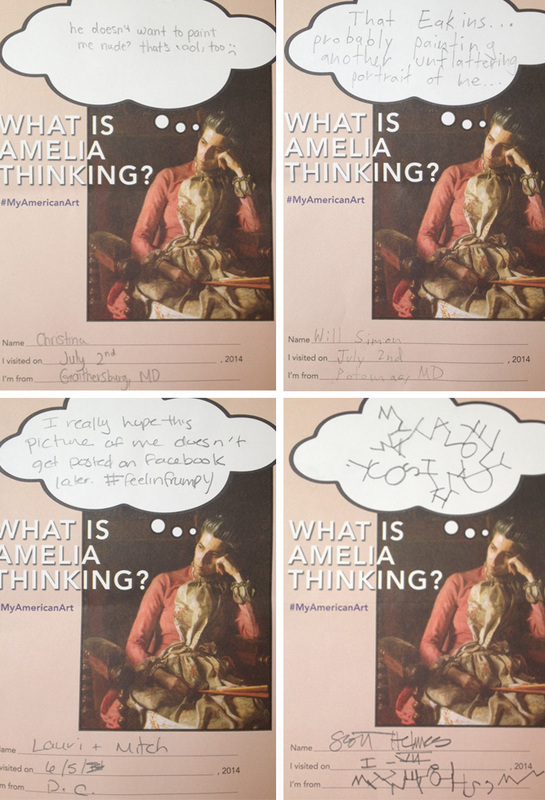 We ask visitors to answer the question, “What is Amelia thinking?” and are receiving dozens of responses a week. Stop by the exhibition or tweet us your submission with #MyAmericanArt. This entry was posted in Exhibitions and tagged American artists, female portraits, gallery interactive, museum interactive, portraiture, seated portraits. Bookmark the permalink.